The Supreme Court, as usual, finished the 2017-2018 term with a flourish, handing down opinions that will have far-reaching effects for years to come. 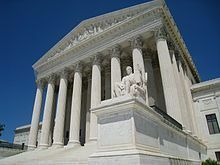 But amid the excitement surrounding Janus v. AFSCME (where the Court held that Illinois’ extraction of agency fees from nonconsenting public-sector employees violated the First Amendment) and Trump v. Hawaii (upholding as Constitutional version three of President Trump’s travel ban), an important came down that will impact the world of estate and trust litigation. In Sveen v. Melin, the Court held by an 8-1 vote that the State of Minnesota was free to apply a law that provided that the dissolution of marriage automatically revokes any revocable beneficiary designation made by an individual to the individual’s former spouse. The importance of such a ruling cannot be overstated, as states are now free to enact legislation that could impact the property rights and expectations of individuals who have previously gone through a divorce. One of the primary goals of any estate planning attorney is to carry out the wishes of his or her client regarding the disposition of property as efficiently and inexpensively as possible. This means doing everything possible to avoid having to the costs of probate by providing for the disposition of assets outside the probate court. As I wrote here, one of the best ways to accomplish this goal is by designating pay-on-death beneficiaries on one’s financial accounts. Problems arise, however, when circumstances change (such as when two people get divorced) and one’s beneficiary designations no longer reflect the true intent of the client. Over time, most states have extended their revocation-on-divorce statutes to will substitutes, such as revocable trusts, pension accounts and life insurance policies. The underlying idea was that a person would no more want his former spouse to benefit from a pension plan or life insurance policy than to inherit under his will. Twenty-six states (not including Illinois) have adopted similar statutes. The State of Minnesota enacted such a statute in 2002, which it applied retroactively, and it came into play when Mark Sveen and Kaye Melin divorced in 2007 after ten years of marriage. Mark had previously purchased a life insurance policy naming Kaye as the primary beneficiary and his two children from a previous marriage as the contingent beneficiaries. The divorce decree made no mention of the insurance policy, and Mark never updated his beneficiary designations after the divorce decree was entered. He died in 2011. The Sveen children brought suit, claiming that their father’s divorce cancelled Kaye’s beneficiary designation and left the two of them as the rightful recipients of the insurance proceeds under Minnesota’s statute. Kaye responded that the Minnesota law did not yet exist when Mark bought the insurance policy, and argued that applying the law retroactively would violate the Contracts Clause of the Constitution. To determine whether a law violates the Contracts Clause, the Court applies a two-step test. First, a court must decide whether the law operated as a substantial impairment to a contractual relationship. To answer that question, courts consider whether the law undermines the contractual bargain, interferes with the party’s reasonable expectations and prevents the party from safeguarding or reinstating his rights. If those factors show substantial impairment, courts move on to step two, which is to consider the means and ends of the legislation, that is, to determine if the law was appropriate and reasonable to advance a significant and legitimate public purpose. Here, the Court stopped its inquiry after step 1 because it determined that Minnesota’s revocation-on-divorce statute did not substantially impair the parties’ pre-existing contractual arrangements. Justice Kagan cited three main reasons for her conclusion. First, the law was designed to reflect a policyholder’s intent – and so to support, rather than impair, the contractual scheme. Second, the law did nothing more than what a divorce court was already empowered to do, and therefore did not affect any expectation of a policyholder. Finally, the statute only provided a default rule which a policyholder was “free to und in a moment.” The Court overruled the Appellate Court’s opinion finding the retroactive application of Minnesota’s law unconstitutional and remanded the case for further proceedings. As Illinois has no revocation-on-divorce statute, the public must remain diligent in updating their beneficiary designations to reflect their changing family circumstances. But the Sveen case makes clear that not only are revocation-on-divorce statutes Constitutional, but so is the retroactive application of such laws.